Experience the Belleville Dodge Difference! 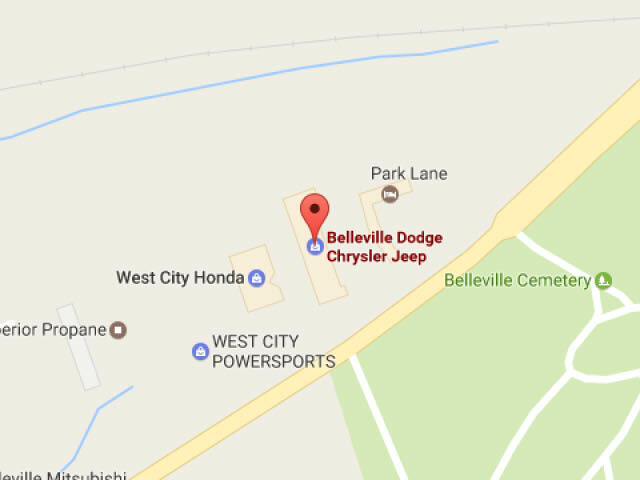 Join us at Belleville Dodge, the dealership for you if you want top quality services provided by friendly and knowledgeable auto experts. It's important to have your tires rotated regularly to ensure even tire wear. Rotating your tires also extends the life of your tries and saves you money down the road. How we rotate your tires depends on your vehicle's drivetrain, front wheel, rear-wheel, or all wheel drive, as well as the tires you use. When you get your tires rotated at Belleville Dodge we will also be able to detect if there is another reason that your vehicle may not be optimal. If your vehicle is starting to shake or vibrate for example, it could be your tire alignment and not just uneven tire tread. When you come in for a tire rotation at Belleville Dodge, we will assess your vehicle for any other issues that may be creeping up to ensure the ultimate in safety and driving quality. If you're looking for tire rotation in Bellville, we have the skilled technicians to install them for you for a great price, so visit us at Belleville Dodge today! Don't pay more than you have to for a tire rotation! At Belleville Dodge we are committed to offering you the best possible price not just for tire rotations, but for all of our services. We are a family owned and operated dealership, and we maintain our family values throughout our business. That means offering our valued customers affordable prices for high quality products and services. Visit our service specials page to view our comprehensive list of promotions. At Belleville Dodge we offer a wide range of specials on things like new tires, discounted oil changes, and complimentary oil filters. When you visit us for a tire rotation you'll realize that our outstanding customer service and quality care can't be beat. That's why we're confident that once you've experienced the Belleville Dodge difference that you'll choose us for all of your service and maintenance needs in the future. So, if you're looking for a tire rotation in Belleville, come to our dealership to see how we can serve you better. A Family Owned Dealership Since 1985! We vale building lasting relationships with our customers. At Belleville Dodge we treat our valued customers like family, that means that we act with integrity in everything we do. Our prices are up-front and transparent, and we offer you the best value around. Visit our dealership for your next tire rotation, and for all of your service needs in Belleville after that! Enjoy our frequent promotions and specials on products and services such as tire specials and rebates! See how you can make the most out of our specials and promotions by asking one of our helpful staff members when you visit our dealership. We also offer a fantastic rate on our base prices for products and services as well! Visit or call us to find out more about our promotions and specials today!